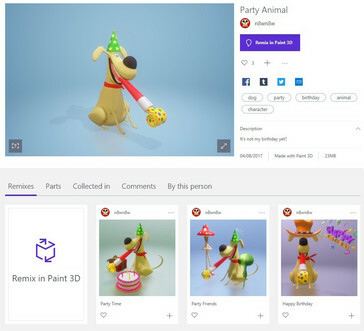 The new update to the popular online service will enable users to re-use parts of existing 3D models (with attribution to the original creator) and spin off new creations. 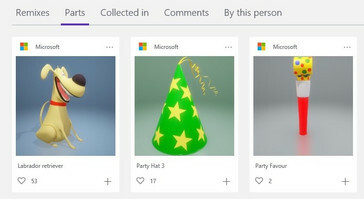 Microsoft has announced an update to their online user-generated 3D content repository, Remix 3D. The new update allows users to easily re-use other's creations and add on to what they've already built. The new update add two new tabs to the Remix 3D UI. The first tab is called 'Parts', which as the name implies, shows various individual components of a 3D scene. This is helpful for those who wish to use only a few parts of a scene without having to download and manipulate the entire original 3D model. When these parts are put together and a new model is created, it shows up in a new tab called 'Remixes'. The ability to re-use parts and remixes can make life a bit easier for budding designers. For those concerned about credits and attributions, Microsoft has ensured that all parts of a model point back to the original scene from which they were derived with attributions to all the creators whose models have contributed to the resulting scene. Microsoft has been pushing 3D heavily in Windows 10. The Creators Update, whose rollout is now considered complete, has brought in the Paint 3D app that allowed anyone to explore and create 3D models easily with mouse, pen, or touch. 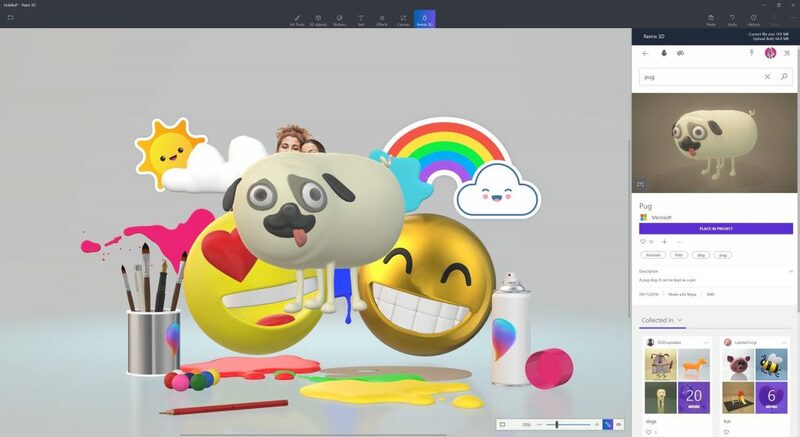 In the wake of deprecation of the classic Win32 MSPaint program, Microsoft is pushing Paint 3D with an aim to make it a wholesome package for both 2D and 3D work. Meanwhile, the company is yet to deliver on its promise of the highly anticipated Capture 3D mobile app, which allows smartphone cameras to quickly scan a real-life object and turn it into a 3D model.